The U.S. Supreme Court will not hear Jacobus 'Co' Willem Rentmeester's copyright case involving the Nike 'Jumpman' logo, the high court has announced. The reason for the court's decision remains unclear, but it leaves in place the 2018 ruling by an appeals court that found Nike hadn't infringed upon Rentmeester's image copyright with its iconic 'Jumpman' logo. 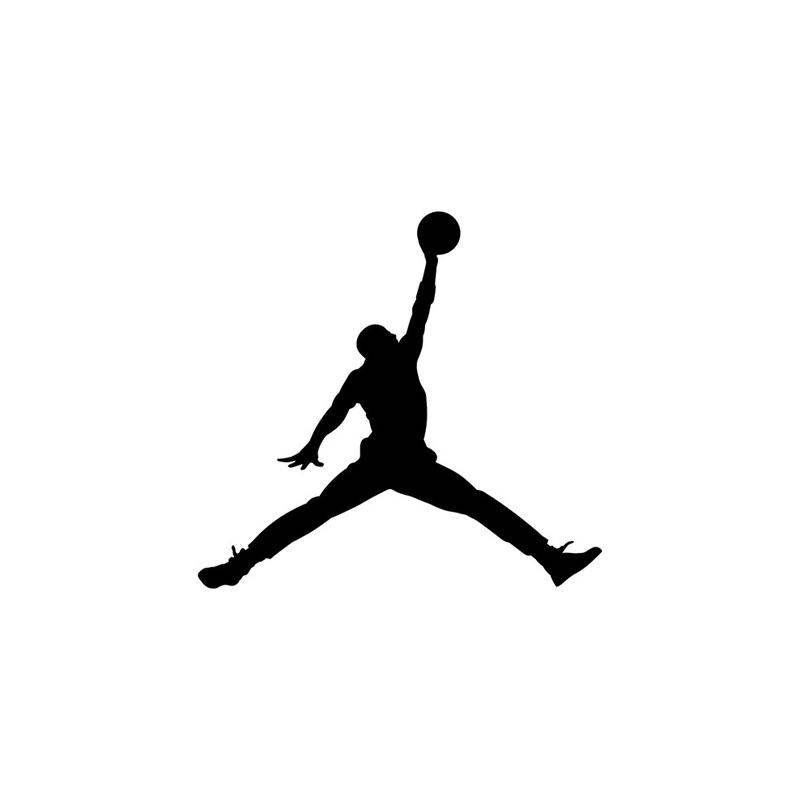 The legal matter began in 2015 when Rentmeester filed a copyright lawsuit against Nike over its 'Jumpman' logo featuring a silhouette of athlete Michael Jordan. The logo was based on an image of Michael Jordan produced by Nike in 1985, which was itself allegedly based on an image Rentmeester took of Jordan as a freelancer for Time Magazine. The two images, while expressing the same idea, are different. Nike had originally paid Rentmeester $150 to license two of his 35mm transparencies featuring Jordan. Following that, the company paid Rentmeester $15,000 for a two-year license to use its own image based on the one Rentmeester took after he threatened litigation. In 1987, Nike then created the Jumpan silhouette logo based on its Michael Jordan image and it has used that logo in the years since. Rentmeester's January 2015 copyright infringement lawsuit was rejected by a federal court in Portland, Oregon, in June 2015. According to that court, Nike's image presented a different expression of the idea behind the two images and copyright law only protects the expression of ideas. The legal spat went to an appeals court, which ruled in 2018 that Nike's image didn't infringe upon the protected expression in Rentmeester's image. The appeals court stated that the subject's pose cannot be copyrighted, which would prevent other photographers from taking images of the person striking the same pose. Elements like shutter speed, camera angle, and timing all contribute to the expression of the idea in Rentmeester's image, the court said. “It would be a stretch of the imagination to call [the photographs] similar at all. Other than the similar perspective, there are few if any similarities” between protectable elements, the judge wrote. don't want to further commentbon the ruling and legal aspects of the case, but personally i prefer mr. rentsmeester's image by far. I hope you Electronic Frontier Foundation ”information wants to be free” people are happy now. Your greedy and self-centered notions of copyright are gradually infecting America's judiciary and soon no one will be able to make a living from producing any kind of content. I weep a single tear©. You're getting at least two things confused. The EFF has nothing to do with "information wants to be free". You may be thinking o the Free Software Foundation? But copyright laws are in no way threatened by either of these. If anything, you should be calling our for-profit corporations, which the EFF often fights against, and the Free Software Foundation kind of hates. Had Nike originated the shot and Rentmeester later created and sold his shot, Nike probably would have won the lawsuit if they decided to file one. Gue$$ why. Photographer takes a picture of YOU and then thinks they should have 100% rights to the image/YOUR LIKENESS AND no one else, NOT EVEN YOU should be able to profit from a similar picture...of YOU doing something the photographer cannot do. What? If I take a picture of a tornado, should I not get the rights because I can't produce a funnel of wind? What does the photographer's personal ability have to do with any of this? And for celebrities and famous people in general, different rules apply as far as rights of publicity. Claiming a tornado and a human are the same thing with the same rights, shows you level of intelligence. Your "it is OK to take a picture of a naked tornado without permission. " argument is pretty dumb. The photographer did not sue Jordan or restrict him from working in any way. You are pretty far off in your analysis and it doesn't seem to me you followed the details in the complaint. This kind of copying in the past has resulted in a win for other plaintiffs. You have to love AlanG's argument. If a photographer takes a picture of your daughter having a "wardrobe malfunction" at the beach, she has no right to the image. After all he is not "restricting" her in any way. In fairness to AlanG, it's hard to come up with a cogent argument against an original assertion that makes zero sense. Scotty. What the heck does someone's daughter at the beach have to do with this? I doubt that you have ever done a photo shoot or contracted models. Clearly Jordan participated in the photo shoot and and is not a plaintiff or a defendant. He was compensated directly by the client for the usage which is precisely how models are typically handled. He is receiving hundreds of millions of dollars (if not billions) from Nike for his association with them. I don't think a photographer could have paid him that much in advance on the off chance that Nike might want to make a huge deal with him in the future based on a photograph. At any time Jordan could have refused this deal and Rentmeester could not have expected any compensation from Nike because they would not be able to use Jordan in a commercial application. Rentmeester could have licensed the image for editorial usage without Jordan's permission, but Jordan would have to sign off on any commercial or endorsement usage. BTW this goes way beyond a model release. This falls into the category of celebrity endorsement which has little to do with the photographer and all to do with how a client uses the celebrity. I will guarantee you that Nike restricts Jordan in various ways (even personal behavior) as part of their agreement. I think there's enough similarity for the guy to justifiably be butthurt about it. But not enough to expect to get credit/compensation for Nike's ad campaign. Jordan jumping with a basket ball is not all that surprising. So, I assume there are lots of images like that. The images are not, if you look closer all that similar. The Nike one has a tense and explosive Jordan in a beautiful pose. Close to the basket. The Rentmeester is more causal and natural looking. Like he is levitating high in the air. Rather far from the basket. This is just a case of something the photographer thinks is unfair but is obviously not illegal. Yes in our great capitalist society huge corporations should be free to screw the little guy. Anytime they see an image that they like, they should be free to just hire a photographer who is desperate enough to copy someone else's creative concept and sell out all rights cheap. The only ones who should own property and accumulate wealth should be dominant corporations. Ideas are meant to be stolen and exploited. Everyone has a future as a serf. He didn't take the photo they used. An idea is only worth a very small part of any endeavor. The photo itself has very little value. What Nike did with the idea gave it value. So when the Beatles made a song, it was only after the record company published it that it had value? So the Beatles are not the ones who should benefit from it? Do you know anything about intellectual property laws and why we have them? Just try to add value to Mickey Mouse by making your own cartoons and see how that works. Did you know that George Harrison was found guilty of subconscious plagiarism and had to pay around $1.6M. I can see that you have come to this conversation in bad faith. No I come to the conversation to support photographers. We all need to stick together. Well then you didn't read the article linked here or have trouble with analogies. Also, you have trouble staying on topic. You haven't really addressed my points. I say: "What nike did gave the idea value" you say: "Did you know George Harrison was sued for plagiarism?" And? What relevance is that? I'm not interested in "sticking together" if it means having broken conversations that don't make sense. Nike did not give the idea value. The photographer created the idea. Nike capitalized off of it because it had value to them. The idea behind licensing photographs is to compensate the photographer for the value the client derives from it. This is basic and I am amazed that you and some others do not get that. This is why magazine photographers banded together to form what became ASMP in order to establish fair policies for photo assignments, rights and usage. So my analogy to music is the same. The Beatles created the art. Others who want to derive value from it license it to use in movies, tv shows, or commercials. Now if Nike wants to hire a full time staff photographer and have him shoot ORIGINAL images that they use any way they like, I have no problem with that. Otherwise they should pay industry standard usage licensing fees such as those in Fotoquote... not dis photographers by resorting to intellectual theft just because they were lucky enough to get away with it. So when I company such as Nike hires a photographer to overtly copy an image how is that not comparable? They did not use his photo. They paid someone in their employ to make an original photo. This is like someone writing a song about an octopus garden that isn't quite usable and you deciding to make a better one that can be used exactly for the purposes you want. Also you don't have to worry about infringing on the original copyright because you only copied the idea, not the lyrics or music, which are protected under copyright law. Nike paid a photographer to take a photo that was more useful to them. It would be untenable to have copyrights extend to new works that somewhat resemble previous work. That would be horrible for photographers! Do you know how much you could be sued under such a system? Beyond that, the 'idea' here is just like a startup idea. An idea is less than 10percent of the value of any startup or even creative work, because for every example of a successfully executed idea there are at least 10 examples of that same idea failing or never being produced, if not 100s. They did not use his photo because they were willing to take the legal gamble of stealing his idea to make a copy of that photo. They got away with it... that is clear because the judge, mistakenly in my opinion, decided the new photo was an original expression. What I'm saying is that this approach by Nike is unfair to the photographer and the idea of controlling intellectual property. And since we know that Nike doesn't give a damn about photographers' rights, we as photographers should. Do you work as a full time photographer s1oth1ovechunk with skin in the game or is this just a hypothetical point to argue about for you? Of course I'm not a photographer. I'm smart enough to choose an actually lucrative profession. They did not use his photo because it wouldn't work directly and because they could just as easily take their own, better photo. They paid for access to Mr. Jordan. THey paid the photographer. It just shows you how photography IS NOT THAT hard. What's hard is building an internationally recognizable, successful brand logo. Nike's approach might be unfair, but the alternative is untenable. Like I said, if you could patent or copyright a photographic idea the world would be a mess. Your position is untenable and actually counter productive to your own profession. Which I don't understand why you don't realize this. It seems like you want to be outraged about this case without realizing the repercussions of a world where this photographer owns any "copy" of his work. So you are telling me you really don't have a clue about photography business practices, industry history, usage, licensing, etc. Yet you are commenting still. And you are not an IP attorney either. Insightful to see you posting on a photo forum that you don't think photographers are very smart. And further that smart people choose lucrative professions. So much for many college professors. I was being snarky because I predicted you wanted to use my profession yo disqualify me from having an opinion, which I was right about, but I apologize if my very tongue in cheek comment went too far or you took it with malice. That was not my intent. And no, college professors are often not the smartest tools in the chicken coop. In my experience, ego and diligence are better predictors of success as a professor than raw intelligence. This coming from someone who spent more time in graduate school than he should have. I'm just a dumb photographer who got stinkin rich from it. I wasn't going to use your occupation to disqualify your opinion. What I'm getting at is that working photographers have a different understanding of how companies have been systematically taking advantage of them. The Future. DP Law Review. Endless articles on the daily lawsuits, commented on by warring armies of armchair lawyers. The future of commercial photography depends on a population of working photographers who understand and appreciate their rights and support the practices that can sustain the profession. All real professionals also support the idea that hobbyist and enthusiasts should appreciate our right and need to earn a living. We want pro-wannabees to educate themselves and stop cr@pping in our pond by undervaluing images and not understanding concepts of rights and usage. So information that helps them learn this is important. Go to ASMP.org for more on that. Life Magazine, not Time Magazine. For me knowing nothing about the situation, the first photo looks like a snapshot. The second photo looks like a pro shot, with real composition: the pose of Jordan, the background, the lighting and colors. Can be that the first gave the idea for the second, but the quality of the second is on a different level. i see it exactly the other way round. mr. reentsmeesters original image is fantastic in every way, from idea to execution. a true work of art. "1 image says more than 1000 words". it epitomizes what "air jordan" was all about ... in 1 single image. to me, the second image is not only a "uncreatice copy", but lacks all subtility of composition, color, light. it is nowhere near a work of art. by comparison it is "bland, superficial, garish advertising trash". created by a trained monkey with a camera and strobe. the legal case is another story. 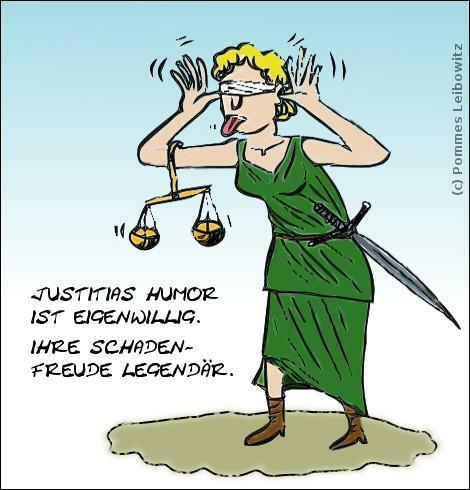 but a judge stating that there are "hardly any similarities between the 2 images" in his ruling appears to be as blind(folded) as goodess Justitia is commonly depicted. Gotta love the U.S....people will sue for breathing if they could. Meh. It's two different systems. Both have pluses and minuses. Intellectual property is the most valuable. Do you only think big corporations should have the right to protect their intellectual property? "Intellectual property is the most valuable." Your house? The IP that I developed as a skilled photographer bought me everything I own. Check the valuations of Microsoft, Apple, Cisco, Facebook, Adobe, Amazon, etc. It is their ideas that are valuable. The hardware is often made under contract. So who did I sue? Funny you asked. Additionally I was involved as a chapter president and national director of a photo trade association helping to educate photographers about pricing, usage, business practices, and their rights. I want to see the entire industry uplifted and you should too. Why do you think I am posting here? I'm trying to help out other photographers. Why are you here? No idea...maybe to look for a law suit ? Newe, do you know anything about good business practices for working photographers? If so please help educate us in that matter rather than criticizing this country for having people who are committed enough to defend their rights. Are you a full time working photographer? Image is worthless without Jordan attached to it. Nike can tell Jordan to sue, to stop him in his tracks. No they can't. The photographer is not the publisher of the image. The publisher of the image is in partnership with Jordan and has compensated him for the usage. And for all you know, Rentmeester may have a model release from Jordan... which is irrelevant since Nike has licensed personal endorsement usage directly from Jordan to the tune of hundreds of millions of dollars. he broke, so he had to go get something to fill his wallet up. I thought that meant $100 note, as it has Benjamin Franklin on it, or am I missing something? Seems he was attempting to copyright a specific athletic pose, not a photo. That pose - accompanied by unrelated photographs of same - probably occurs thousands of times every season. No that pose has not been captured thousands of times. Otherwise, Nike would not have hired a photographer to copy it and turn it into a logo. That happened because it was unique and special. Frivolous overreaching suit. The logo to me is sufficiently transformed. 0 pixels from the photo was used. 100 Millions....What? Kittens, Toast, Pennies, Dimes, Cucumber’s? I'll extend a prayer. "Ommie Ummie Wamma". I have better use for Peeps, Flowers, Kittens, Toast, Pennies, Dimes, Cucumbers and Chicks. Not sure it's worth a Like. I wonder what would happen if Under Armour decided to shoot a similar image of another basketball player and make a silhouette logo from it. Trademark law is different from copyright law. You can not copyright a color, but you can trademark it (ask T-Mobile). 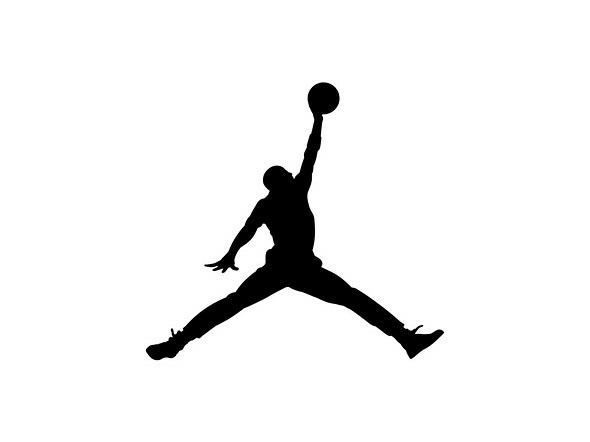 Nike, as copyright owner of the Jumpman logo, would rightfully sue their pants off. There has been other silhouette logos, Shaq's shoes had a logo of him dunking as well..
Obviously it was a totally different pose tho, imitating the same iconic pose would obviously backfire well before the lawyers got involved. So Under Armour would not be able to claim that it is essentially a different logo because it was derived from a different image and therefore is unique? No, they could not because under trademark laws a similar logo for a similar product category would confuse the market into not being sure what brand they were buying. Minolta was sued by Exxon for a double X logo and nobody could have confused a camera with gasoline. These are a lot more alike than the Exxon and Maxxum names and logos. So if the market clearly would be confused by the similarity of trademarked logos, why are we making a distinction for the similarity of an image that admittedly was an intentional commissioned copy of the other one in order to avoid paying for usage rights? I agree. While there are minor differences, Nike had the image re-shot with the intention of avoiding paying Rentmeester additional licensing fees for this use as a logo. So it clearly is sleazy behavior by Nike. As you can find essentially the same photo thousand of times shot by different photographers with basketball and different sports, some didn't even knowing about this image. I shot something perfectly similar some times ago (however not basketball - it was a friend's kid practicing aikido for his home album), inspired by another similar image (I think it was some 2 persons playing volleyball) .... see where i am going with this? Also, Nike might argue that the original photo was not suited for their envisioned logo, as they wanted something cleaner, with more straight lines (note the bended arm and foot in the "original" one. Not at all. That pose is not ever used by anyone in a game dunking the ball. It is a pose, designed beforehand and filmed in a studio (setting), meant to invoke a feeling. If there were a 1000 others like it, then why didn't Nike just get one of those and avoid the initial liscensing agreement? Because there were (and are) none! Instead, Nike saw the Photo, took the idea behind it, and re-shot the idea with a few changes. If Nike did that with software, they would lose the IP lawsuit. It's interesting to me that the "transformative" assessment is allowed in this case. I wonder how well protected the "jumpman" logo actually is, based on this suit. "I wonder how well protected the "jumpman" logo actually is, based on this suit." As a copyright or a trademark? As a copyright, not very. As a trademark, very much, within context. I'm sure I could trademark a logo featuring the silhouette of a jumping ballerina without infringing on Nike's trademark. Put a basketball in her hand and attach that logo to a line of athletic footwear and the lawyers will start to get itchy.
" Not at all. That pose is not ever used by anyone in a game dunking the ball. It is a pose, designed beforehand and filmed in a studio (setting), meant to invoke a feeling. " @jdu_sg: "Instead, Nike saw the Photo, took the idea behind it, and re-shot the idea with a few changes." Exactly, according to the law, "ideas" are not and can not be copyrighted. I might say, as i argued before, i am kind of happy they can not. Good for you badi. Make a case for corporate greed. Just stating what the law is. I can agree with it or not, so can you. But you can not win in instance against someone playing by the written rules, that is all. Also, on a side note, how many of your images are inspired from others, or just happen to find a similar images were already out there even without you knowing? Don't have to answer, just think about it yourself. Unless the photographer owns the rights to Jordan's signature dunk pose, I don't see how he would or should have any rights to anything. So he took a photo of a famous basketball player doing his own signature move... That doesn't mean that none else can take photos of Michael Jordan doing that move for commercial purposes ever again. Guy is lucky he got paid the $15k in the first place. If you look at the shots of Jordan dunking below, these seem to be the only two where his legs are spread out this way and his arm is extended. It looks totally unnatural for him and executed for the photo as directed by the photographer. Rentmeister took Jordan outside and staged the image for a very clean graphic look. That is why it is so special and so iconic. This is not a grab shot but was a work of art created by the photographer. Presumably the court determined that while it inspired the other photographer, it was different enough to not infringe. Then he's basically claiming that he owns the dunk. That's cool. It's really no different than people suing Epic games for signature dance moves appearing in Fortnite. Well, i think it's a bit different and much more clear, It was another shot, posed by Jordan. As he has no right on Jordan's pose or any contract that doesn't allow him to pose in a similar manner ever, If Jordan wants to pose in a similar manner, he surely can do so. You mean that if some photographer shoots (in a private session, with copyright ownership, etc) my portrait while I am laughing with a spoon on my head. Then i am no longer allowed to take a similar image with another photographer, ever? The photographer was more into a publicity stunt rather then hoping to win any money. YEP... like casinaphile said. The gigantic Nike company liked the image so much they hired another photographer to copy it... probably on a work for hire buy out deal, in order to avoid paying the photographer who actually came up with the concept that they wanted to exploit. @badi this was not Jordan's idea... he did not hire Rentmeester. Rentmeester directed the model and owns the image that resulted. Jordan as a subject has been compensated hundreds of millions for his efforts and the usage, so he's not complaining. Now the court said that copying of this unique creative effort is O.K. (Try to find Jordan in a similar pose anywhere else before or after Rentmeester's shot.) Why should any photographer on this forum or anywhere else celebrate that? I wonder... If I were to shoot a model holding her elbow, and years later another photographer shot that same model holder her elbow... Could I sue that photographer? You know what, let's make it even more relatable to this story... If a Yoga studio hires a photographer to capture some of their poses for their website, does that mean they can never hire another photographer to capture their yoga poses after that without being sued? and then decide no longer pay you ? what would you do ? how would you feel? violated ? "just be lucky you got 15000 dollars "
If she were holding her elbow while jumping in the air dunking a basketball and the other shooter was directed by a company to copy it... maybe yes. I'd feel happy that I got $36,000 more than I was expecting from a single shot. Look, at some point, this photographer doesn't own Michael Jordan, and didn't invent the french jeté. I'm with the court's decision on this one. Not that interesting. This stuff happens literally every day. People's ideas, work, photography, and other expressions are taken and used by companies and other artists all the time. "Right" is a matter of opinion and/or law. In this particular case, our opinions differ, however mine coinsides with the opinion of the court, who have decided that Nike has the right. is "right " power or is it an abstract concept ? does living under an unfair judicial system make corporate theft "moral"
Uh... okay... I've thought about it, and I haven't changed my opinion. You need to stop posting, then editing and changing each post. I can't keep up with your edits. @Xerojay. Why are you on a photo forum? Are you a photographer? not even sure about "typer "
@AlanG: why would you question if I'm a photographer? I've been a full-time pro photographer for 19 years and counting, and I am entitled to my own opinions. Why are you here? @cosinophile: You have been editing your comments to add new thoughts and change your comments. Don't lie. @Xerojay I asked because I figured a photographer would know better. Are you a member of ASMP, PPofA, APA or other photo trade association? Are you aware of their usage, copyright, and pricing business guidance? You are certainly entitled to your own opinions, but those don't seem like ones I'd expect to hear from a working photographer who wants to protect his future earning potential and career. I don't have to define my qualifications to you. I've won numerous international awards from wppi, ispwp, and other groups. I've been published in every Toronto newspaper and have been shooting professionally even since the dawn of digital. My opinions are fine. You are just too judgemental. Listen, guys, just because I am a photographer, doesn't mean I have to always side with other photographers on every case. The fact that you immediately jumped to questioning if I am even a photographer shows your own narrow views and weak inclinations. Yes I do have a narrow view that we better support photographers because industry is lopsided against us. Nobody else will help us. And industry does not need our help. And I'm not concerned about your photographic qualifications...they may be great. I'm hoping you are familiar with and practice the business guidance from the trade associations. ive made one single point ..... what ever are you talking about??? I'm sure Nike pays him quite well to be their spokesperson and have a product line named after him. In fiscal '17 alone Jordan's take of Nike's "Jordan Brand" is reported to be over $100 Million. Not to mention that Nike originally signed Jordan, as he was coming out of NC University, to a $2.5 Million endorsement deal. Aside from the fact that his legs are spread, there is little similarity from the pose in the photo with the pose in the logo. Guy is crazy for trying to sue for this. He's lucky he got the $15,000 from Nike in the first place. I think the legal situation is very clear according to US copyright law. Which is obviously why it was ignored by the Supreme Court. Cf. link “are different” in the article above: “the test for substantial similarity between two images cannot be based on the similarity of unprotected elements. Ideas ... are not protectable.“. Might of had more success if he hired Avenatti to represent him against Nike, lol. Avenatti, I read, is charged of extorting Nike. @Mariano, that's where the "lol" comes in. It's pretty interesting, as it is a creation, not just shooting something. As such, and if none previous work could be linked to it, nike's might be considered a derivative. And for myself this no more qualify Nike's as a creation. "... copyright law only protects the expression of ideas"
"Elements like shutter speed, camera angle, and timing all contribute to the expression of the idea..."
Wait, so I can't use the same shutter speed, angle, or stopwatch... but Nike can use the image? No, I guess this stupid concept means that if Nikon uses 1/250 for the shot, and Co Rentmeester used 1/320, that's enough difference. The court has a point about not wanting to discourage other photographers taking similar photos (lord knows so many photos look alike. "Sorry, I already photographed Old Faithful. You want to photograph it? Pay me!"). But let's face it. If it weren't for Rentmeester, the Nike logo would look completely different. No, “ideas” are exactly what is NOT protected by US copyright law. Read the articles linked above. Nike recreated the image based on the same idea. But the resulting image and even exact jumping pose were different. If you pitch a story idea to a movie studio and they take it and hire someone else to write the story, you can sue. So the photo itself and the idea appealed to Nike, but instead of paying for usage, they hired another photographer to closely duplicate it with a small variation or found a photographer who did it independently (unlikely.) Clearly there was an intention all along to copy Rentmeister's concept with the hope to avoid having to pay him. This was no accident. Good that the court punted this photographer's ridiculous notion of copyright. Good for him; he got paid... something. "Afterwards, Nike agreed to pay Rentmeester $15,000 for a two-year license to use a photograph it produced on the basis of Rentmeester’s image." Hmm.. My question is Why Nike paid for a license in the first place for any reason other than a cheap way to avoid frivolous litigation while they develop *their* image; knowing they were technically in the right to begin with. "But the company continued to use its photograph after the license expired." So? Was Nike legally obligated to pay the photographer to use *its* photograph? I don't think so. Being paid for a license does not automatically equate to Nike being legally obligated to obtain a license by default. @AlanG “Buchwald sued Paramount for breach of contract” i.e., not copyright infringement. It's painfully obvious why 1st year law is such a bear for students. People have trouble discerning what's relative from irrelevant and disassociating what they think the law should be (irrelevant)... from what the law states (relevant). People's consistent inability to digest and stick to the facts of a case is what is most embarrassing about forums (if you have at least a high school diploma and can read on an 8th grade level) and what's absolutely chilling about Juries. ...The O.J. case is textbook example. Took the jury less than 4 hrs? Should've been less than 40 minutes for any Juror paying attention. Was there doubt? Yes. = done deal, must acquit, let's wrap it up and go to lunch and say our goodbyes! Too easy folks! Yes Buchwald contract, Rentmeester copyright. But the corporate goal in both cases was to convert someone else's idea for profit without paying the creator. But Buchwald collected and Rentmeester didn't. So what makes the results different? @AlanG That’s exactly what a contract is for: To change the legal situation. I cannot believe you need to ask. Correct, but having inspired others doesn’t entitle to copyright ideas. Otherwise, our society wouldn’t be able to evolve. And btw, if it weren’t for the Nike logo, Rentmeester’s photo wouldn’t be iconic. The lack of a contract does not grant Nike the right to copy someone else's intellectual property. Nike did not have a usage contract... that is the issue. The only reason that Rentmeester lost was that the judge said the second image was different enough. I certainly do not buy that view. @AlanG you are right but an idea can’t be an intellectual property. That‘s what was trivial to the judge and Supreme court (trivial enough to close the case). The second image is a separate expression of the same idea. I personally find the two photos very different, actually. It‘s really just the idea which was shared. Imagine a bald head male portrait with a soft key light from front left and a hair light from behind right, against a dark background would be copyrighted. We photographers could stop working. But all such images look very similiar, all copying the same style. Also, almost all Cosplay poses would be copyrighted. Or slum dank photos. Or penalty goal photos. cEtc. pp. If you have an idea for a shooting subject and pose, you are NOT obliged to check if there are any similiar photos already out there. Fortunately. Your point of view is not thought through. The details of the case do not have any similarity to your bald head analogy. The only thing that matters is the judge said the second photo was different enough for Nike to get away with it. Others disagree. Nike's attempt to screw take Rentmeester's idea without compensation is clear. The fact that they legally got away with it does not make that go away. Ok, now you speak truth. You take offense that Nike succeeded to screw Rentmeester. I can understand that, but that is a completely different matter. Nike still did not infringe a copyright, they created a new and different photo based on Rentmeester‘s idea. They didn‘t even try to closely copy the photo. Also, there are no different opinions among legally trained people. Again, you cannot own an idea. And then, what do we know what happened behind the curtains? Nike DID pay Rentmeester a fair amount of money. Maybe, Rentmeester became too greedy for Nike continue doing business with him. Who knows? I cannot decide which side I should be with from a moral point of view. But legally, it is obvious. As explained by my bald portrait scenario. It may be your opinion and the judge's opinion that Nike did not infringe the copyright, but that is not my opinion. Of course the judge's opinion is the one that counts but I hope that does not set a precedent used in other cases. Legally this is not obvious or it never would have gone so far in court. Another similar case might be heard by the US Supreme Court and decided there. I do not know if you are a working photographer falconeyes, but arguing for looser interpretations of copyright law is not in your best interest if you are. I thought I made it clear. I cannot accept a copyright I can infringe by accidentally shooting a photo someone somewhere on the planet already did in a similiar manner. Or any commercial photographer. If that risk existed, we’d stop commercially taking photos. I don‘t ask for looser interpretations. Just for the copyright as it is. And to be sure between you and me ... that photo would serve equally well to create an iconic logo ... except maybe for Jordan - but he‘s not the point. Good luck to you. If you don't copy someone else's idea you will be fine. At this point, I give up with you. How many times do you need to learn that ideas aren‘t protected by copyright? Tell J. Michael Straczynhski about that. He pitched Babylon 5 to Paramount, and they turned him down, and shortly after came out with Star Trek Deep Space 9. Joe was pretty mad. But that didn't stop him from hiring several Start Trek stars (Chekov being the main one) to be fantastic add-ons to B5. Drop it, Rentmaster. You do not hold copyright to the idea of photographing a slam dunk. Sheesh. As an aside, there's a really strong mirror image illusion effect happening in the silhouette. In the silhouette, I see the ball in Michaels' right hand, with his back to the viewer. @tailings, That's not at all the basis of his lawsuit. Is it so hard to educate yourself on the facts behind the suit ? Funny that there are people who can write, can't read. Internet literacy I Guess. Well, I'll confess to not be intimately familiar with the fine details. However, based on the article above, I surmise Rentmaster perceives a silhouette of a photograph that is a deliberate recreation of a scene he once photographed constitutes copyright infringement. Is that not correct? I would be delighted if you could illuminate. Brevity sans legalese would be appreciated for those of use how can not read. I'm not about to do leg work for someone who is too lazy to dig out of his own entrenched views. Sure, you could have said, based on this news item, it's BS. But this news item is the last in a series that has been going several years, so there is much more written about the case. if it was worthless , why did nike pay 15000 dollars[ 36000 usd in 2019 dollars] for the rights originally ??? They paid to use the actual photograph, not to aqcuire the copywrites to a slam dunk. The pose is not identical, and I don't think the intent behind the reshoot is relevant. Nike might have used the original image as inspiration, but they refined it, and that's a lot of what art is. I think a claim like this can't be valid, simply because extending copyright protection to similar (but different) shots is unmanageable, and unhealthy. If Nike paid to have a better Jumpman photo taken for their logo, I don't see why this guy should have a claim on it.